A pearl is formed in an oyster when its mantle tissue is injured by a parasite, an attack of a fish or another event that damages the external fragile rim of its shell. In response, the mantle tissue of the mollusk secretes nacre into the pearl sac, a cyst that forms during the healing process. Chemically speaking, nacre is made up of calcium carbonate and a fibrous protein called conchiolin. As the nacre builds up in layers of minute aragonite tablets, it fills the growing pearl sac and eventually forms a pearl. Thus, it is a myth that a grain of sand can cause a pearl to form, as nacre will not adhere to inorganic substances. Cultured pearls, by contrast, are those in which humans take a helping hand. By actually inserting a tissue graft of a donor oyster, a pearl sac forms, and its inner side precipitates calcium carbonate in the form of nacre. Modern-day cultured pearls are primarily the result of discoveries made in the late 19th and early 20th centuries by the Japanese researchers Mise and Nishikawa. Although some cultures had long been able to artificially stimulate mollusks into producing a type of pearl, the pearls produced in this way were only blister and mabe, rather than actual round pearls. Mise and Nishikawa were able to develop a specific technique for inducing the creation of a round pearl within the gonad of an oyster. This technique was patented by Mikimoto Kōkichi shortly thereafter, and the first harvest of rounds was produced in 1916. This discovery revolutionized the pearl industry, because it allowed pearl farmers to reliably cultivate large numbers of high-quality pearls. In contrast to natural pearls—which have widely varying shapes, sizes, and qualities, and which are difficult to find—cultured pearls could be “designed” from the start to be round and primarily flawless. The oysters could be monitored for up to two years until each pearl was fully formed, thus better ensuring their health and survival. And the pearls could be produced by the tens of thousands, thereby bringing their cost down to a point where pearls became accessible to large numbers of people around the world. Despite the runaway success of the cultivated pearl industry, natural pearls continue to be the mostly expensive and highly coveted pearls on the market: an all-natural, high quality pearl necklace can cost hundreds of thousands of dollars. The goldfish was one of the earliest fish to be domesticated, and is one of the most commonly kept aquarium fish. The goldfish is a domesticated version of a less-colorful carp, which is native to east Asia. It was first domesticated in China more than a thousand years ago, and several distinct breeds have since been developed. Goldfish breeds vary greatly in size, body shape, fin configuration and coloration (various combinations of white, yellow, orange, red, brown, and black are known). A goldfish is an easy pet to keep and care for, plus they take up relatively little room in your home. They don’t bark loudly or leave hairs on your sofa, they don’t whine to be let out for a walk, also they don’t require expensive treats, all they need is a small aquarium tank with cold water, a little tonic in the water to make it less harmful to them, and regular feeding everyday, that’s it, you won’t hear a peep out of them. 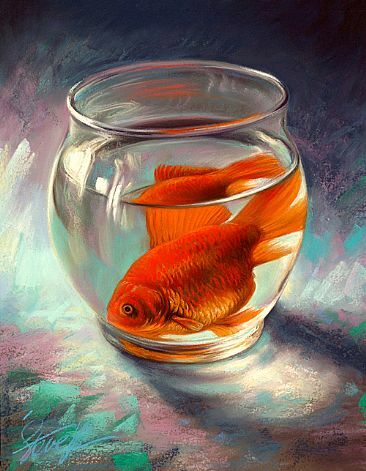 Although goldfish bowls are very popular, they are not an ideal environment to keep goldfish. Goldfish are very easy to care for but they still require cleaned and well-aerated water, which is hard to maintain in a goldfish bowl. Housing a goldfish in a bowl can increase the risk of nitrate/ammonia poisoning and stunting the goldfish. Goldfish will consume almost anything. The kind of food goldfish will eat includes flakes, cooked peas, and insect larvae. Flake food often is preferred over pellet food due to the fact that they are easier for the goldfish to see and to clean after. A growing body of research suggests that people with red hair are more sensitive to pain and consequently need more anesthetic during operations than other patients, according to new research. In fact, red hair is the first visible human trait, or phenotype, that is linked to anesthetic requirement. As a result, redheads tend to be particularly nervous about dental procedures and are twice as likely to avoid going to the dentist as people with other hair colors, according to new research published in The Journal of the American Dental Association. Researchers believe redheads are more sensitive to pain because of a mutation in a gene that affects hair color. In people with brown, black and blond hair, the gene, for the melanocortin-1 receptor, produces melanin. But a mutation in the MC1R gene results in the production of a substance called pheomelanin that results in red hair and fair skin. This dysfunction triggers the release of more of the hormone that stimulates these cells, but this hormone also stimulates a brain receptor related to pain sensitivity. Other research publications have found that women with naturally red hair require less of the painkiller pentazocine than do either women of other hair colors or men of any hair color. 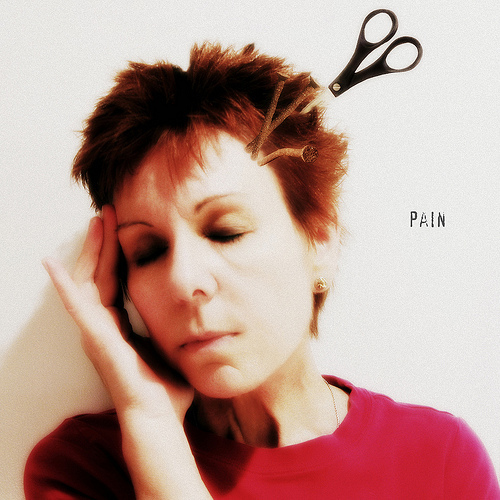 A study showed women with red hair had a greater analgesic response to that particular pain medication than men. A follow-up study by the same group showed that men and women with red hair had a greater analgesic response to morphine-6-glucuronide. This research could potentially help scientists come to a better understanding of the relationship between genetic characteristics and anesthetic requirements. Ginkgo biloba is known as a “living fossil tree”: closely related species are thought to have existed for over 200 million years. Ginkgo has long been cultivated in China; some planted trees at temples are believed to be over 1,500 years old. The first record of Europeans encountering it is in 1690 in Japanese temple gardens, where the tree was seen by the German botanist Engelbert Kaempfer. Because of its status in Buddhism and Confucianism, the Ginkgo is also widely planted in Korea and parts of Japan; in both areas, some naturalization has occurred, with Ginkgos seeding into natural forests. Ginkgos adapt well to the urban environment, tolerating pollution and confined soil spaces. They rarely suffer disease problems, even in urban conditions, and insects generally leave ginkgo trees alone. For this reason, and for their general beauty, ginkgos are excellent urban and shade trees, and are widely planted along many streets. 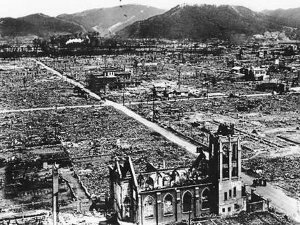 But perhaps the most amazing thing about ginkgo is its tenacity- six gingko trees growing between 1–2 km from the 1945 atom bomb explosion in Hiroshima were among the few living things in the area to survive the blast. While almost all other plants (and animals) in the area were destroyed, these six ginkgo trees, though a little worse for wear, survived and were soon healthy again. The trees are alive to this day. Unsurprisingly, the Ginkgo tree has been regarded as the ‘bearer of hope’ ever since. Dolly the sheep became a scientific sensation when her birth was announced in 1997. Her relatively early death in February 2003 fuels the debate about the ethics of cloning research and the long-term health of clones. Dolly was born on July 1996 to not one, but THREE mothers (one provided the egg, another the DNA and a third carried the cloned embryo to term). 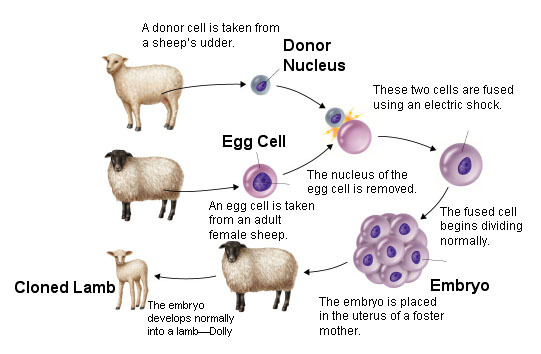 The cell used as the donor for the cloning of Dolly was taken from a mammary gland from mommy no. 2, and the production of a healthy clone therefore proved that a cell taken from a specific part of the body could recreate a whole individual. On Dolly’s name, head researcher Dr. Ian Wilmut stated that, “Dolly is derived from a mammary gland cell and we couldn’t think of a more impressive pair of glands than Dolly Parton’s”. Dolly was the first clone produced from a cell taken from an adult mammal. The production of Dolly showed that genes in the nucleus of such a mature differentiated somatic cell are still capable of reverting back to an embryonic totipotent state, creating a cell that can then go on to develop into any part of an animal. The cloning of Dolly has proved that cloning of adult animals could be accomplished. Previously, it was not known if an adult nucleus was still able to produce a completely new animal. Genetic damage or the simple deactivations of genes in cells were both considered possibly irreversible. Potential uses for cloning whole animals may include farming, producing proteins for medical and nutritional use, or the cloning of genetically modified pigs to be organ donors for humans. Additionally, “therapeutic” cloning which involves cloning embryos in order to collect cells could lead to treatments for many human degenerative conditions, such as Alzheimer’s and Parkinson’s diseases. In the broadest sense, a “weed” is any plant growing where it is not wanted. However, all “weeds” are not created equal- they can be native or non-native, invasive or non-invasive, noxious or not noxious. Legally, a “noxious weed” is any plant species designated by a Federal, State or county government as injurious to public health, agriculture, recreation, wildlife or property. Invasive plants are not necessarily noxious weeds, even though most noxious weeds are invasive. Invasive plants include not only noxious weeds, but also other plants that are not native to this country or to the area where they are growing. Apparently, weeds can be way more menacing than the unfairly maligned dandelion had led me to believe…. Noxious weeds tend to grow aggressively, multiply quickly without natural controls (native herbivores, soil chemistry, etc. ), and adversely affect native habitats, croplands, and/or are injurious to humans, native fauna, and livestock through contact or ingestion. Some invasives can even change ecosystem processes such as hydrology, fire regimes, and soil chemistry. These invasive plants have a competitive advantage because they are no longer controlled by their natural predators, and have the potential to spread completely unchecked. Now You Can Truly “Read” A Person’s Eyes…. The colored part of the eye is called the iris, which has pigmentation that determines our eye color. The iris is a thin, circular structure in the eye, responsible for controlling the diameter and size of the pupils and the amount of light reaching the pupil. 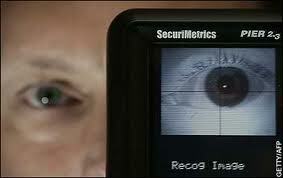 Human eye color originates with three genes, two of which are well understood. These genes account for the most common colors — green, brown, and blue. Other colors, such as gray, hazel and multiple combinations are not fully understood or explainable at this time. We used to think of brown being “dominant” and blue being “recessive.” But modern science has shown that eye color is not at all that simple. Also, eye colors don’t come out as a blend of the parents’ colors, as in mixing paint. Each parent has two pairs of genes on each chromosome. So multiple possibilities exist, depending on how the “Wheel of Fortune” spins. Humans and other animals have many phenotypic variations in eye color, as blue, brown, gray, green and others. These variations constitute phenotypic traits. In human eyes, these variations in color are attributed to varying ratios of eumelanin produced by melanocytes in the iris. In contrast, the brightly colored eyes of many bird species are largely determined by other pigments, such as pteridines, purines, and carotenoids. Dutch researchers have announced they are working on ways to determine eye color of adults with sophisticated DNA analysis that can predict with 90 percent accuracy whether people have brown or blue eyes. Researchers said these discoveries also have implications for forensic investigations at crime scenes where recovered DNA may give clues about the actual appearance of suspects, making it easier for authorities to find suspects on the lam.